“I will rain down on the barren land. I will pour down latter day rain and more rain, and I will REIGN and you will REIGN with Me as I pour out the ‘never seen before’. I AM ARISING, and I WILL do as I have said I will do. Continue to fight in worship and dance, in prayer and fastings, but what I do is a great and sovereign act, and will not be because of your great fastings, & prayers alone, but will be because of My everlasting love and mercy. Do not strive and wear yourself down to nothing, but rest in MY GRACE, do as I lead, and do not think to wear yourself down. I will give you grace & strength for what I call you to do ! I am the LORD and there is no other and I will lay waste the idols of mankind, and I will lay waste the towers men have built unto themselves. Have you not seen, have you not heard from the beginning that I the Lord created the heavens and the earth? There will be no other gods before me, and have you not heard in My Word, that I said, I will take My stand on the earth? I WILL TAKE MY STAND, AND I WILL BRING DOWN THE HAUGHTINESS OF MAN, AND EVERY SINGLE THING THAT LIFTS ITSELF UP AGAINST THE KING OF KINGS AND LORD OF LORDS. Those in the church will also be judged who take too lightly how I feel about lying about others, and assuming the motives and intentions of others without knowing them; or knowing them and purposely deceiving others about them, slandering and destroying people with their lying words. Murderous spirits abound in the church and it should not be so among my own. But I will loose the priesthood of true believers to bring adjustments in the teachings that have gone forth, that approve of gross sinning, and do not take seriously the admonition to holiness. I know that many of you are longing to walk in full holiness and have struggled and struggled to get free, but your hearts are purely wanting to be free, so you are in a good place. It is the dishonesty, and lack of caring that I am referring to that trivializes sin without concern for pulling out the roots, and doing the works of Him Who saved you, Who cast out demons and destroyed the works of the devil. I have called you ALL to do these works through leaning on me. Did I not say THESE SIGNS WILL FOLLOW ALL WHO BELIEVE? ALL MEANS ALL BELOVEDS ! The true Priesthood prepares others to minister to others. It multiplies self. All good leaders do this. They don’t try to do everything themselves, but they long for disciples who will take it to the streets, and bring in the sheaves. They don’t try hard to be stars and promote themselves, though in My Kingdom there are many, many stars. So be good stewards of the time you have left for the wild beasts of the earth are anxious to devour anything good, anything holy, anything pure and wholesome. The enemies forces do not sleep. So do not sleep on the job yourselves. Keep alert. Keep in prayer. Do the work of a good soldier, and good soldiers follow their leader. I am supposed to be your leader. So seek My face daily for what to do. Ask ME to guide your paths so that you walk in the fullness of what I have for you. You who know the depths of My love are called to share it with those who don’t know it. My gifts are not for hoarding and showing off. They are for sharing and using to bring MY KINGDOM’S GLORY DOWN to all around you that they might know ME too! My Kingdom is about setting people FREE. I came to set people free, and so I have called you also to do the works of the Kingdom, and to be unafraid. Listen for the still small voice daily, LEAN ON ME, and I will show you the ways to do things, and what to do. Micah 4:7-9 Amp And I will make the lame a remnant, and those who were cast off a strong nation; and the Lord shall reign over them in Mount Zion from this time forth and forever. 8 And you, O tower of the flock, the hill and stronghold of the Daughter of Zion, unto you the former dominion shall come, the kingdom of the Daughter of Jerusalem. 9 Now why do you cry aloud? Is there no king among you? Has your counselor perished, that pains have taken you like a woman in labor? 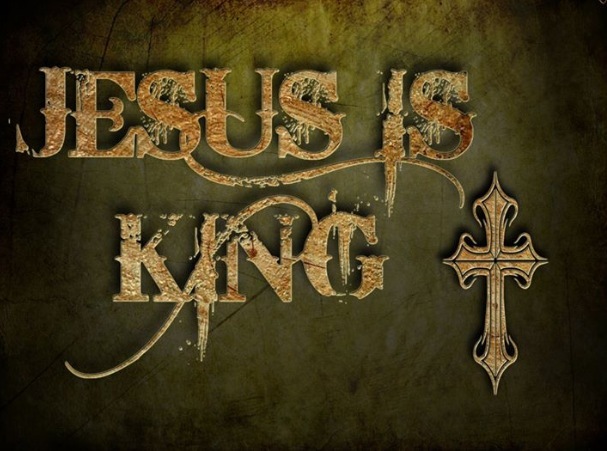 2 Tim 2:12 Amp If we endure, we shall also reign with Him. If we deny and disown and reject Him, He will also deny and disown and reject us.